If you watched some of my Instagram stories last month, you might have seen that I was very kindly sent the Magnitone Barefaced Facial Cleansing Brush* and Magnitone WipeOut Microfibre Cleansing Cloths* to try out and review. I was incredibly excited when they arrived, and so I’ve been trying them out a lot over the past three weeks to put them to the test and see if they work. 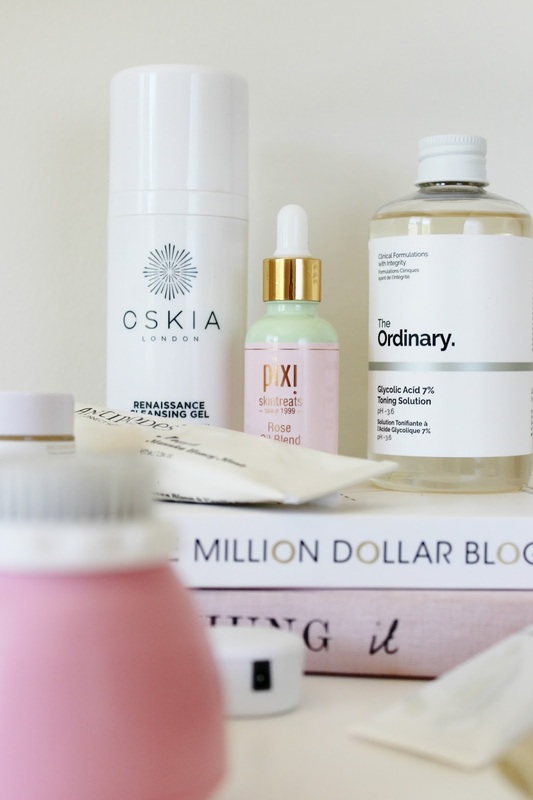 Investing in skincare is something that is very close to my heart – I’ve had a lot of trouble with my skin over the years so I’m always looking for tools and products that work best for me to avoid any more issues. I thought the best way to showcase the products was to share my whole routine, and give you an idea of how I like to use them to keep my skin clean and fresh from day to night. I’ve been starting my routine with some cotton pads saturated in the Nivea Micellar Cleansing Water to remove my eye makeup, followed by warm water and the Magnitone Wipe Out Cleansing Cloths* to remove the rest of my makeup. The cloths don’t require any other cleanser, they just need to be damp and moved in circular motions across the face to work their magic! What makes them even better is the fact that they can be washed up to 1000x per cloth, and so they last a really long time. They’re excellent for travel too, so I know I’ll be taking them with me on any summer holidays. 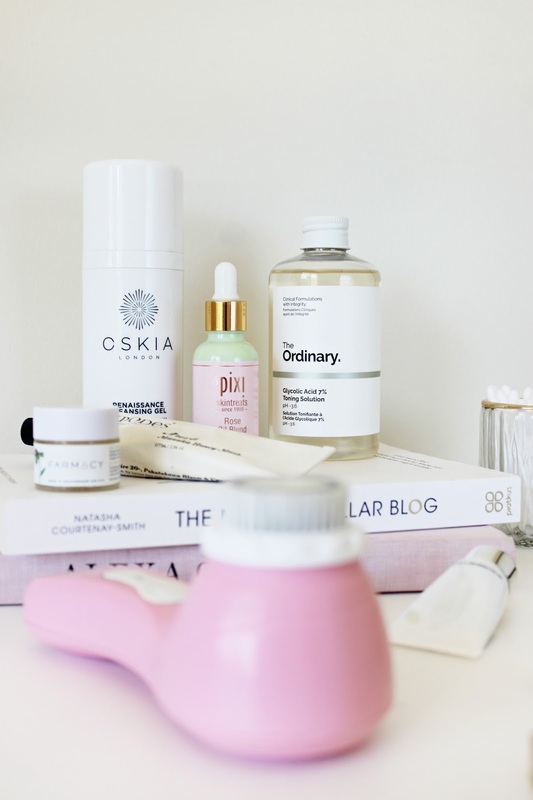 Once all my makeup is off my face, I squeeze a little of the Oskia Renaissance Cleansing Gel onto my fingertips and lightly dot that across my face. Then comes the Magnitone Barefaced Sonic Facial Brush*, which I dampen and slowly move across my face on the first setting until the tool beeps to tell me to switch areas. The timer beeps every twenty seconds so that you can cleanse all areas of your face equally, and there are two settings to choose from. The brush itself comes with a cute little bag and charging cord, and just like the cleansing cloths, it is extremely small and travel friendly! After I’ve finished this step, I follow up with the rest of my skincare routine. Immediately after cleansing, I find that my skin more readily accepts the products I apply afterwards, and all the nourishing ingredients are able to completely absorb. On most nights, I follow up with a toner like The Ordinary Glycolic Toning Solution for a more glow boosting appearance in the morning. If I’m feeling like I need a little extra hydration and care, I love using different facial oils in my routine. Recently, the Pixi Nourishing Face Oil* has been product of choice – it smells incredible and really sinks into the skin with the tiniest drop going a really long way. 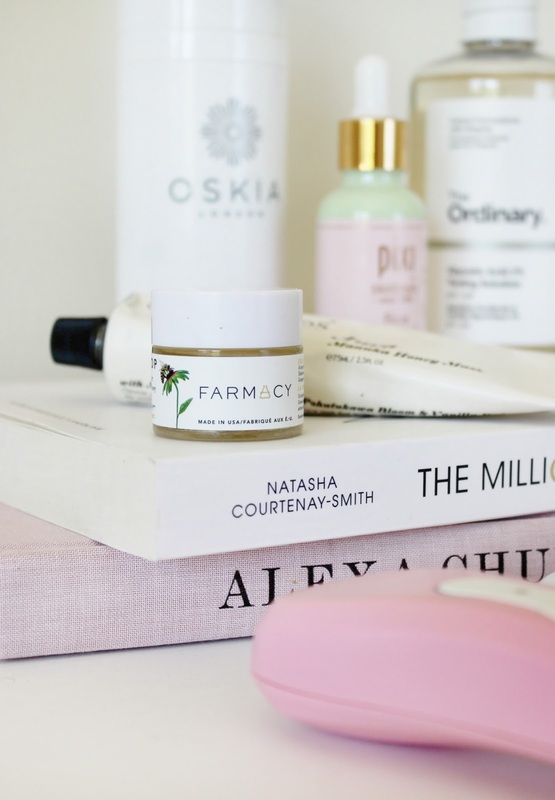 In terms of moisturizer, I’ve been trying out a sample of the Farmacy Honey Drop Moisturizer and I have to say – I think I need the full size! Like the facial oil, it smells divine and applies smoothly – but the best part is how hydrated my skin feels in the morning. Overall, I’m in love with the facial brush and it’s now become a key step in my cleansing routine – it’s an investment I think is totally worth it for healthy, glowing skin. Have you tried anything from Magnitone London?